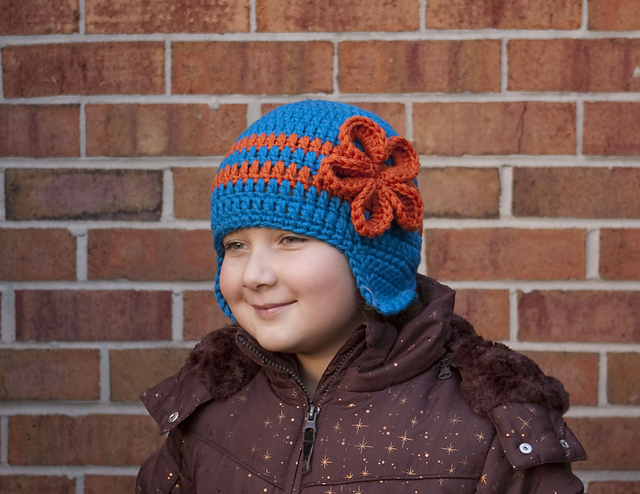 Simple crochet pattern for a pumpkin beanie in 3 sizes. 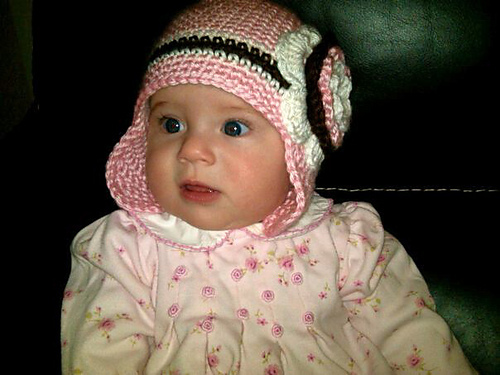 This is a free crochet pattern for a baby hat, pumpkin beanie. This pumpkin hat is worked from the top down. Vine made separately and attached afterwards. Finished size(s): To fit an average 0-6 month old (6-12 month old, toddler). The pattern is written for the smallest size with adjustments for larger sizes in parenthesis. Finished Measurements: 13.75 (15.5, 17)” hat circumference. Yarn: Light worsted weight yarn in orange and green. Sample Shown in: Red Heart Soft Yarn (100% acrylic; 256 yds [234 m]/ 4.97 oz [141 g]): tangerine (MC), green (CC), 1 skein each. Hook: US size H/8 (5.0 mm). Or hook necessary to obtain gauge. Gauge: 14 sts and 17 rows = 4″ in single crochet. Note on gauge: If you just want to make a hat and anticipate a recipient to grow into it then proceed without checking the gauge. If a certain size of the hat is desired, make sure to check your gauge. You can either make a gauge swatch (recommended) or measure stitch gauge in the last crown round.